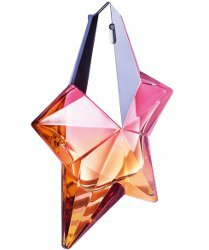 Thierry Mugler will launch Angel Eau Croisière, a new limited edition flanker to 1992's Angel. Luminous and rounded, Angel Eau Croisière is a sunny blend of fragrances. Its energizing facet creates a sparkling cocktail of luscious mango, juicy grapefruit and blackcurrant sorbet. Its voluptuous facet is reminiscent of Angel’s Gourmand signature with rich notes of patchouli and praline. Embodying refined yet care-free evasion, Angel Eau Croisière gives a fresh take on cruise spirit. Mugler Angel Eau Croisière will be available in 50 ml. I need that bottle if nothing else..
Plus recent Angel flankers have been pretty darned good. That bottle is pretty. Will have to try it, at least! I’m totally going to try and get this one. Blackcurrent sorbet sounds good to me! I thought the liqueur de parfum smelled like a cocktail so I wonder how this one will differ. Love the bottle though. Ha! The first angel I’m interested in! This sounds like the perfect thing to break the winter blues, yum. OOh! This looks VERY interesting indeed! Intriguing. I love Angel Muse. As I’ve admitted before, I have never sniffed original. It just never interested me.